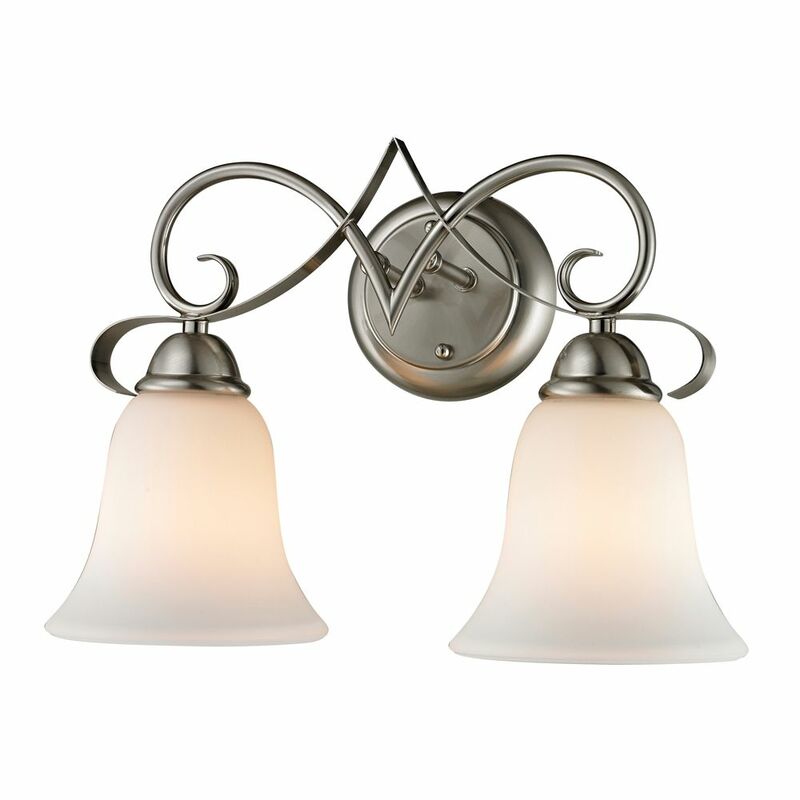 2 Light Bath Bar In Brushed Nickel This gorgeous vanity light features a smooth flowing design with metalwork finished in brushed nickel and beautiful white glass shades. 2 Light Bath Bar In Brushed Nickel is rated 4.5 out of 5 by 2. Rated 5 out of 5 by Mommyone from Changed the glass to match my vanity and it looks... Changed the glass to match my vanity and it looks great.